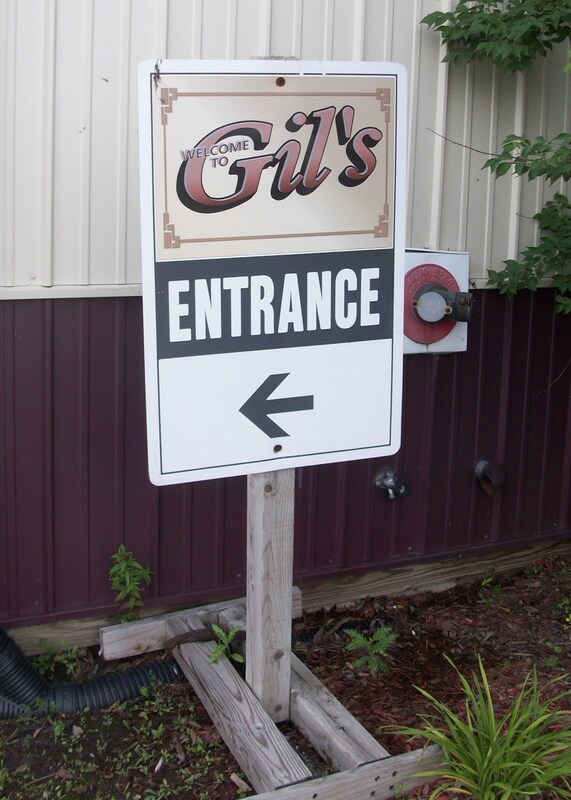 CLINTON—Every parking spot at Gil’s Restaurant, Ballroom and Limousine Service was filled, so latecomers had to park on the grass next to the road leading to the Clinton County Democrats Hall of Fame Dinner on Friday. 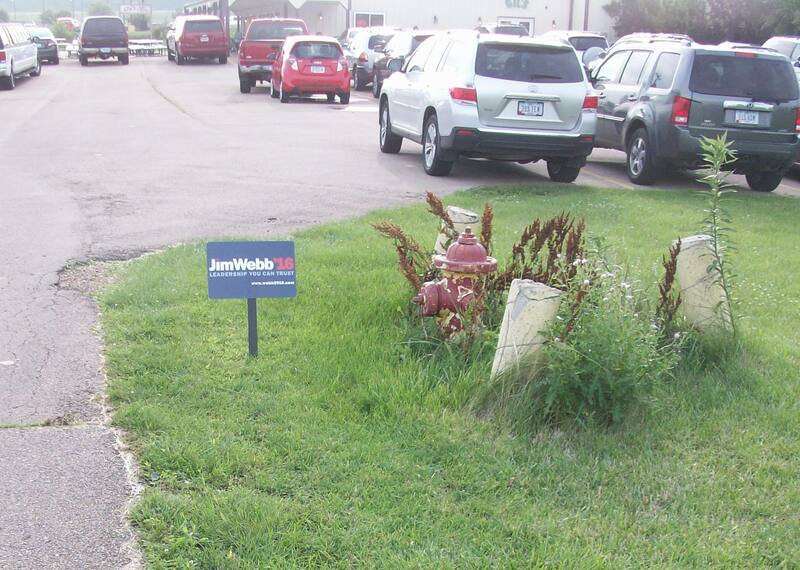 A few Jim Webb ’16 signs marked the way. The one term Virginia senator, author and Vietnam combat veteran was keynote speaker. His staff had been in town for a couple of days helping Jean Pardee, county chair, and the local Democrats make final preparations. Pardee characterized turnout as “good,” and the room was filled. A satellite remote truck was parked near the building, indicating national interest in what would normally have been, except for the February 2016 Iowa caucuses, a nondescript annual political event. As I approached, I took off my name tag from the warehouse and put it in my pocket. The Webb campaign had paid for my ticket after I introduced myself to Iowa organizer Joe Stanley via twitter. The campaign is not well known in Iowa outside political activists. That afternoon I ran into a former chair of the Johnson County Democrats, and he knew my alignment with Webb from previous conversations. He wasn’t hearing much about the campaign either. Webb surrounded himself with people he can trust for the campaign. Both Stanley and Crawford are long-time friends. In the audience were cousins from Cedar Rapids, and three former Marines, including at least one who was in his Vietnam combat unit. I don’t think Webb expected Iowa politics to be what it is. A day or so before the event, Senator Amy Klobuchar (D-Minn) was scheduled as a speaker. She spent half of her speech advocating for Hillary Clinton. Too, Pardee read a letter from Senator Bernie Sanders (I-Vermont) who was unable to attend. There was no O’Malley or Chafee presence at the event. Despite the friendly competition, Webb had a chance to get his message out both time-wise and by exposure in the run up to the event. Second District Congressman Dave Loebsack spoke after Dr. Andy McGuire, Iowa Democratic Party chair. Some of us hear Loebsack speak so often the themes and tales are very familiar. What stood out about Loebsack’s speech was his underscoring how the next president would impact the judiciary. He or she may have an opportunity to appoint as many as four U.S. Supreme Court judges. That matters to Democrats according to Loebsack. Six members of the local party were inducted into the Hall of Fame. Distinct from my home county, they were honored for their grassroots work to elect Democrats, and their acceptance speeches were very brief with some saying less than a dozen words. Perhaps Merlin Schmidt said the most, recounting how the first president he voted for was Harry Truman. Schmidt was glad Truman dropped the atomic bomb on Japan. He claimed his life could have been saved by this action, even though historians have debunked the idea that dropping the bomb saved lives. The Cedar County Democrats made me an honorary member for the night and I sat with chair Larry Hodgden, treasurer Laura Twing, and U.S. Senate candidate Tom Fiegen. Our most animated conversation was about guns after I mentioned that Colt Manufacturing had filed for Chapter 11 Bankruptcy. Colt made the .45 caliber revolver I carried in the military and the M-16 on which I was an expert marksman. Their AR-15 is very popular with local militia types and loss of their military contract led to Colt’s demise. While “Second Amendment Rights” doesn’t carry the same cache among Democrats, most knew people with gun collections, including assault rifles, and it is an accepted part of Iowa life. I left without getting “a moment” with the candidate. I had to be at work in the morning and it was more than an hour drive along the Lincoln Highway. If Webb decides he is running for president, there will be plenty of chances for that. The towns along Highway 30 have become a part of my life. Grand Mound, Wheatland, Calamus, Lowden, Clarence, Stanwood and Mechanicsville are familiar markers on the path home. I stopped in Clarence to use a rest room and grab a beverage to quench my thirst. Unlike some, my thirst for politics can be quenched by attending an occasional political event. Despite the odds against him, I would like to see Jim Webb run. He is supposed to decide during the next few days.